In some parts of the country, churches pull out live rattlesnakes during their worship services, holding them up while dancing around the platform. Since they take their cue from Mark 16:18 (“they shall take up serpents; and if they drink any deadly thing, it shall not hurt them”) they see dancing with snakes as a sign of faith. 2. Lump all counselors or ministry leaders who deal with homosexuality in with the extremists by slapping the label “Conversion Therapy” onto them. 3. Claim, or strongly imply, that all who do this work are guilty of these extremes, therefore all of them must be stopped. “Conversion Therapy” is the new Boogeyman, the rallying cry of today’s LGBTQ movement. You’ll be hearing more and more about it, as states ban it, movies are made about it, and people who’ve experienced it denounce it. CBS joined the chorus on Sunday. One of the people interviewed was a young woman whose “conversion therapy” treatment included carrying 40 pounds of rocks in a backpack. The therapists involved weren’t named, but they were evidently a Mormon couple serving as lay counselors. Then a young man and his mother described his conversion therapy experience, during which he cuddled with another man in bed as part of the treatment, while his counselor blamed his mother for his homosexuality, damaging their relationship and enhancing his depression. Then video clips were shown of the late Dr. Joseph Nicolosi, a pioneer in the field, lecturing along with author and therapist Dr. Julie Hamilton, neither of whom have ever recommended rocks on the back or bedroom cuddling as a cure, yet both of whom got lumped together with the extremists. Then Jeff Johnston of Focus on the Family was interviewed, holding his own quite well as he fielded questions, rightly pointing out that the abuses of some shouldn’t be ascribed to all. It was an interesting news piece, but it didn’t ask the right questions. Let’s ask them now. Is Conversion Therapy an accurate, fair label? The term “Conversion Therapy”, then, cannot be accurately applied unless a licensed mental health professional is involved. It also cannot be accurately applied to professional psychotherapy if the therapy in question is not designed to change sexual orientation. In short, it cannot be accurately applied to most of the individuals and organizations it’s now so carelessly applied to. Browse the internet yourself. Look at the most prominent organizations currently being labelled as “Conversion Therapy” outlets. Click onto Restored Hope Network, Hope for Wholeness Network, Homosexuals Anonymous, Courage, and NARTH. You’ll search in vain for the term “Conversion Therapy”, or for promises to change orientation. The Conversion Therapy shoe doesn’t fit. We shouldn’t be forced to wear it. Is shutting down all so-called Conversion Therapy the answer? Preaching the gospel is right. Preaching the gospel to make millions is wrong. If someone preaches a false gospel of greed, do we shut all preachers down? Or do we rightfully criticize the bad ones? Teaching is right. Seducing your students is wrong. If a teacher seduces his student, do we shut all teaching down? Offering psychological help is right. Using your position as a psychologist to manipulate patients into signing their property over to you is wrong. If a psychologist does such a thing (as some have) do we assume all psychologists are harming their patients? If you’re mentoring, counseling, or otherwise ministering to someone struggling with homosexual desires, it’s wrong to shame them, saddle them with rocks, cuddle them in bed, subject them to shock treatment, cast demons out of them, insist they had a bad relationship with Mom or Dad or both, or coerce them into being more stereotypically masculine or feminine. The problem with the cases described in the CBS special was not the fact that the individuals were counseled, but the way they were counseled. At some point we have to ask, what are the critics of so-called Conversion Therapy really against? If they’re only against the abuses they report, then what about the vast majority of therapists, ministers, and lay counselors who never commit such abuses? They’re still the enemy. Again, why? Because they hold to a traditional definition of marriage, family, and sexuality. They offer assistance to people who hold the same views. 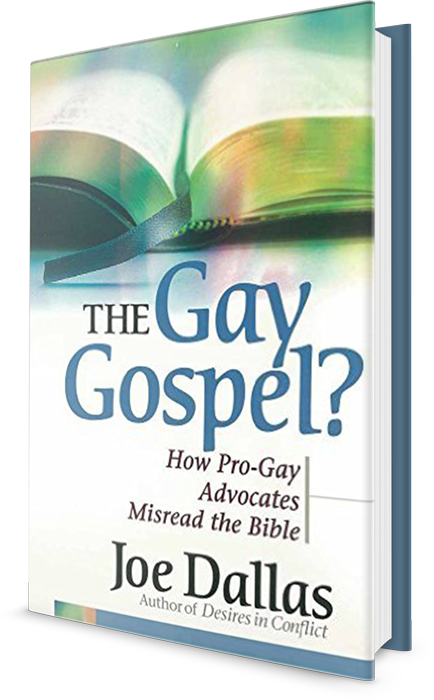 They believe homosexuality is a sin, falling short of God’s intentions, and they want to offer help to those who wrestle with the homosexual desires they don’t want to yield to. People offering this help are criticized whether they’re licensed therapists or lay counselors; whether they graduated from Ivy league universities or Bible colleges; whether they approach the issue clinically or theologically or both; whether they do prayer ministry, one on one mentoring, or group sessions. At the end of the day, it’s the position we hold about homosexuality that is the problem. It’s impossible to counsel from that position in a way that will appease our opponents. That’s why we’re at an irreconcilable impasse. Those doing so-called Conversion Therapy will not revise our stance on sexual sin. Those opposing us will not rest until that position is silenced. But silence isn’t an option, because we cannot hold the position that something is a sin without also offering a way to deal Biblically with the sin. You can’t do the one without the other. Go Joe! Agreed, we need to define what we do, not let the world define us nor limit us. I believe that snake handling and drinking poison and expecting the Lord to rescue us is actually tempting Him. Jesus gave us an example when satan put a challenge before Him urging Him to leap off the top of the Temple, stating that the Angels would catch Him. So if the accusations are against the Word and a mentor stays within those boundaries, then those accusers have become religious bigots. If you read Saul Alinsky's handbook, you will see that turning these things back on them( rolling a stone) is taking away their presumed power. I have a psych degree, but mentor as an ordained minister because of the use of psychology as a weapon for the left. I was a militant lesbian feminist atheist, almost communist, trained in mental/ emotional warfare and community organizing 36 years ago when I was saved and delivered in one day. So hold your position and push back the gates of hell because we're pushing with you. Adrienne, thanks for your input. Great hearing from you! I especially love hearing your testimony and perspective. Great pushing with you. God bless. A similar report happened in the UK in July. Where the news reporter went out of their way some 500 miles infact from London where the rest of the report was filmed to Northern Ireland where the person offering therapy was based. Carl, this is very sobering. Thanks for passing it on. God bless. What about the abuse that led to a flawed sexual identity? The girl or boy who was abused by an uncle, neighbor, coach or pastor and couldn't reconcile that they were still wholly a person with the experience of being violated. Don't remove the efforts of the concerned, the hopeful, while ignoring the darkness that produced the need for help.